Description: The new Central Terminal Building with a “world-class” main entrance, more mass transit connections and a better utilization of LaGuardia’s relatively small real estate to the tune of an estimated $8 billion. 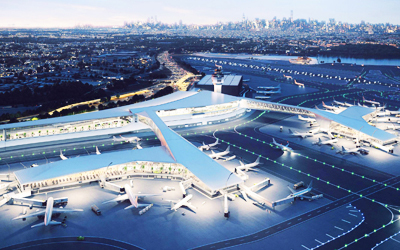 The project will link all four terminals through one new facility that will be built 600 feet closer to the adjacent Grand Central Parkway. Pushing the airport toward the highway will make way for 2 miles of aircraft taxiways to improve plane movement, which would then reduce delays. Scope of Work: Fenagh was recently selected to Bureau Veritas to assist on all required testing and inspection services on the project.